Gaming is more popular than ever these days, and that trend isn’t likely to stop anytime soon. That also means there’s a great opportunity if you know how to make a gaming website. Depending on which games you want to focus on, you might even set up your own server people can play on. 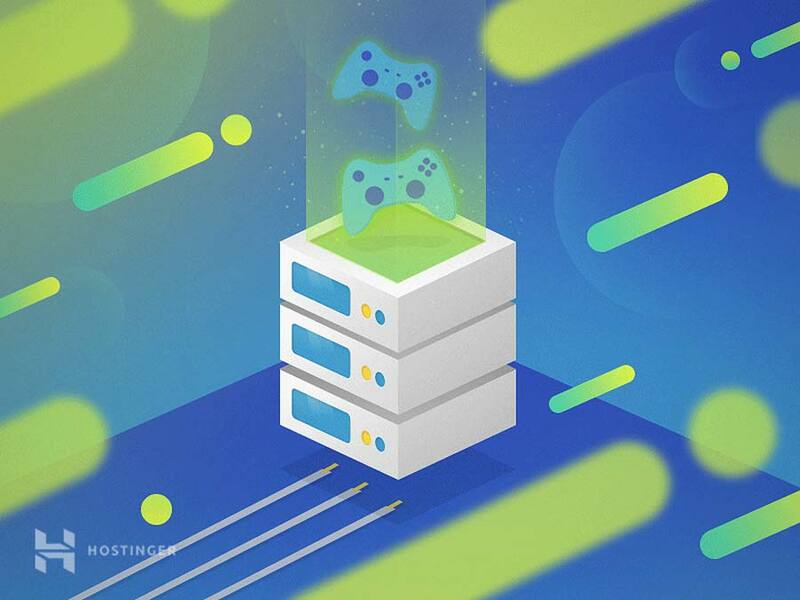 By the time we’re done, you’ll have a gaming website all set up and ready to rock, alongside a server you can use to host multiplayer matches. Let’s get to work! Websites for a games developer or publisher. Personal websites for game streamers. In fact, you can probably come up with plenty of more examples. While vastly different in terms of content and purpose, all of those still fall under the category of gaming websites. When it comes to creating your own, you need to have a clear idea of your site first. Consider what you want your gaming website to focus on and what type of content you want to publish on it. This is an important first step since it will inform everything about how you set up your site. It’ll even affect your choice of domain name, which we’ll discuss later on. If you don’t know what your focus will be, coming up with a relevant name will be difficult. For the rest of this tutorial, we’re going to focus on the fourth option from the list above, which is setting up a website for a gaming server. However, most of the steps we’ll cover will also apply to just about any type of gaming website, so you can still follow along. Those are just a few of the more well-known sites but there are plenty more examples. Naturally, some sites use more traditional, descriptive names, such as Niche Gamer and PC Gamer. Our point is that when it comes to gaming websites, you can get quite creative in your naming, as long as you keep it concise, unique, and memorable. For most cases, we recommend you stick with .com Top-Level Domains (TLDs). They tend to be rather cheap, and people know and trust .com URLs, which makes them a safe, smart choice. When you manage to find the perfect name and matching domain, go ahead and register it. As we mentioned earlier, we’re going to teach you both how to make a gaming website and set up a multiplayer server. Our goal is to give you the tools to set up a private or public server for any compatible game. This includes popular games like Counter-Strike: Global Offensive or Minecraft. In other words, you’ll need two hosting plans, one for your website and another for the server you want to host. If you choose a web host with a good reputation when it comes to performance, shared hosting is both a secure and high-performing option for a low price. Plus, you can always upgrade to something that packs a little more punch somewhere down the line if you need to. For now, suffice it to say we recommend using the same web host for both your website’s plan and your VPS. That way, you’ll be able to manage both using the same interface and set of tools. Let’s now look at the basics of how to make a gaming website. 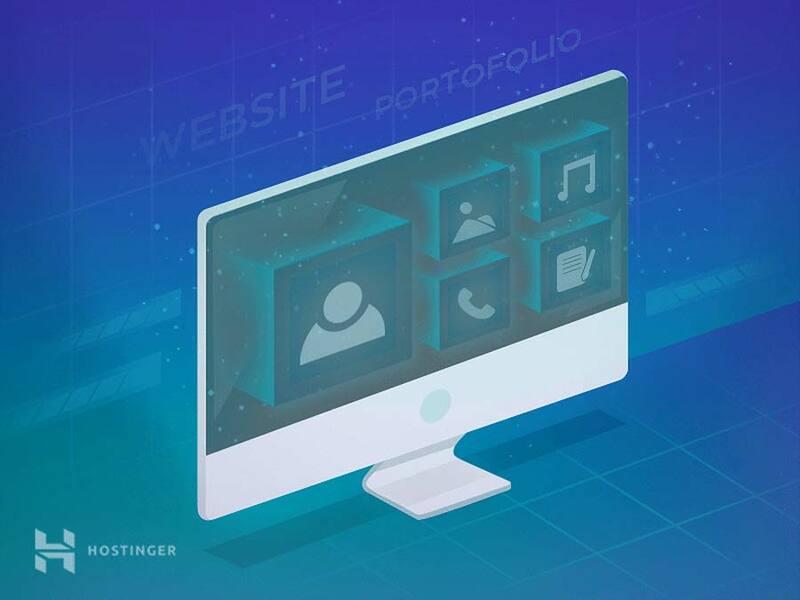 At this stage, you have hosting and a domain ready, so your next move should be to pick a platform that you’ll use to create and run your site. In other words, using WordPress gives you the flexibility you need to create any type of gaming website you want. That includes blogs, a personal website for sharing your streams, a gaming news site, and more. Plus, this particular CMS is remarkably easy to pick up, which makes it ideal for learning how to make a gaming website. It offers more configuration options out of the box than WordPress does. The platform offers built-in support for multilingual websites, which enables you to target a larger audience. You have more SEO settings to play with, without the need to install plugins or extensions (although WordPress is no slouch in this aspect either). In practice, using either WordPress or Joomla! would be an excellent choice for a gaming website. However, for the rest of this tutorial, we’re going to focus on the former. This is because it’s easier to pick up if you’re a beginner and offers plenty of solutions specifically tailored for creating gaming sites. Installing WordPress is simple. In fact, the platform is so popular a lot of web hosts will offer to set it up for you right out of the gate. Even if yours doesn’t, the installation process is quite simple, so you can also do it on your own in as little as five minutes. A blog page you can use to discuss the latest gaming news. An About Us page that shows information about the site and the people who work on it. Information and instructions relating to your gaming server. These may sound like complex features, WordPress makes it relatively simple to implement such functionality using plugins. In case you’re not familiar, plugins enable you to extend the features WordPress offers you, much like extensions and add-ons. Right now, WordPress offers over 50,000 free plugins on its official repository, and that’s not even mentioning the many premium options. Suffice to say, there are plugins for pretty much any type of site you can think of. This is where your planning will come in handy, as you’ll already know what functionality and content you want your site to contain. As such, you can simply look for plugins that offer those features and install them on your site. Opt for themes with plenty of good reviews. Stay away from options that haven’t been updated in a while, as these might cause incompatibility problems or contain security vulnerabilities. Look for themes that offer comprehensive documentation for setting up and troubleshooting. 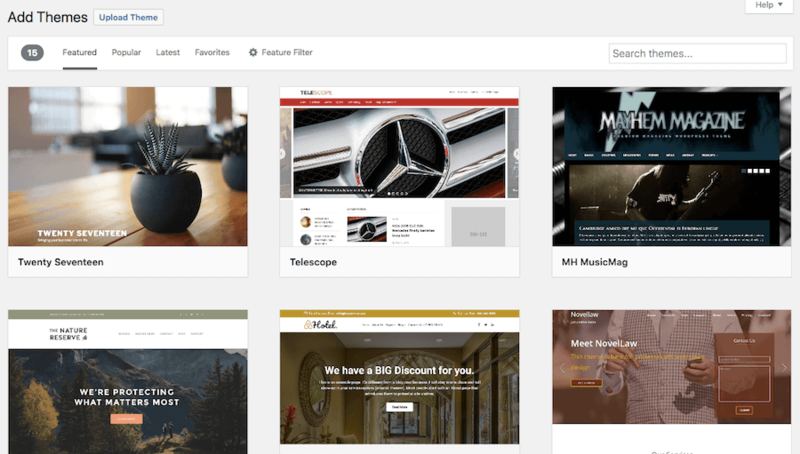 Generally speaking, you have two options when it comes to WordPress themes: multipurpose and more focused ones. In a lot of cases, multipurpose themes include website-builder tools, which can come in handy if you don’t have any coding experience. With this type of tool, you should be able to put together attractive websites without having to hire a developer to help you. That’s a lot of information to digest, but once you test a few plugins and themes, you should have a decent grasp on what WordPress can offer you. Then, it’s just a matter of experimenting with the platform until your website looks exactly as you want it to. Install any dependencies required by the game you want to host. Configure your server depending on the game you want to host. Test your new gaming server. Have fun playing with other people! You’ve already taken care of the first step by securing a VPS hosting plan. The next step will depend on which game you want to host. In the past, we’ve written in-depth guides about how to set up servers for Minecraft and Counter-Strike: Global Offensive. If you run into a multiplayer game that was released in the past couple of years, chances are you can set up a private server for it. These games will usually provide clear instructions on how to configure the server. If you get stuck during the process, you can also ask the community for more assistance. On top of gaming, you can also use your VPS to host voice chat channels for applications such as TeamSpeak, which is perfect to coordinate with large groups. Overall, there are a ton of fun applications for a VPS and if you know how to use one for gaming, then you probably already have a great grasp on the basics. Learning how to make a gaming website involves a bit more work than you might imagine. However, the process is roughly the same as with other types of sites. You’ll need a domain and hosting to get started, as well as a platform to run your site. However, you might also benefit from having a VPS you can use to host games other people can play. Do you have any questions about how to make your own game website? Let’s talk about them in the comments section below!